Let’s go further with those AirPods!! Hey Siri! If your iPhone or iPad is hooked on a plug or portable battery, just say “Hey Siri” to start the conversation. 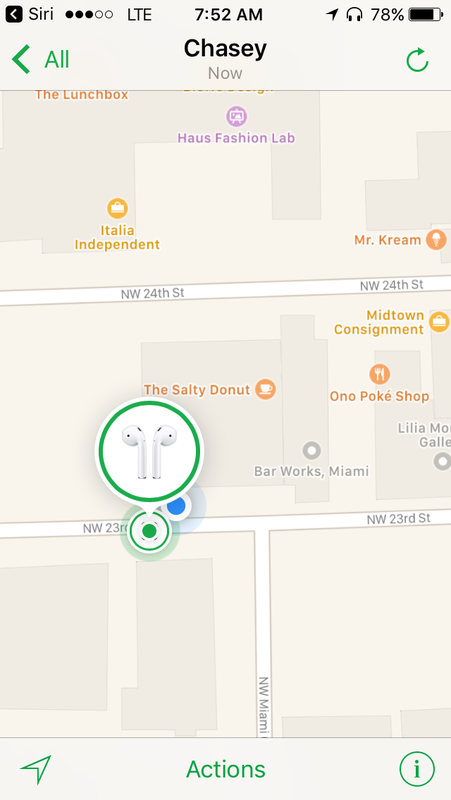 Find my AirPods! 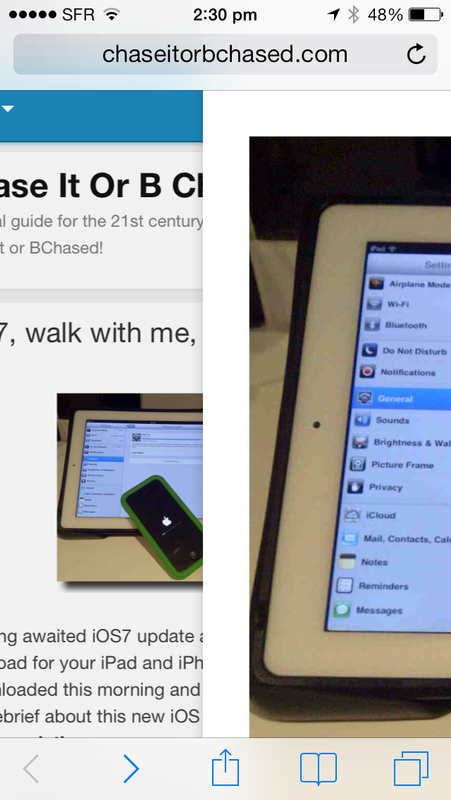 Use the well known, “Find my phone” app on iPhone/iPad or hop on the internet on a computer and type iCloud.com to log in. All your apple devices will appear on a map. 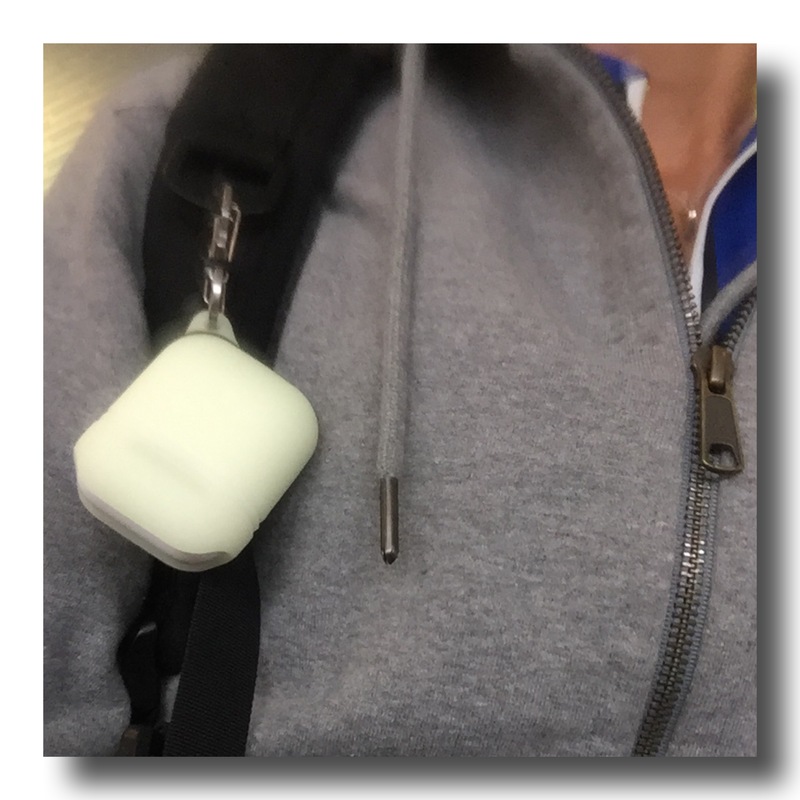 You’ll be able to make noise on your AirPods to find your buds. 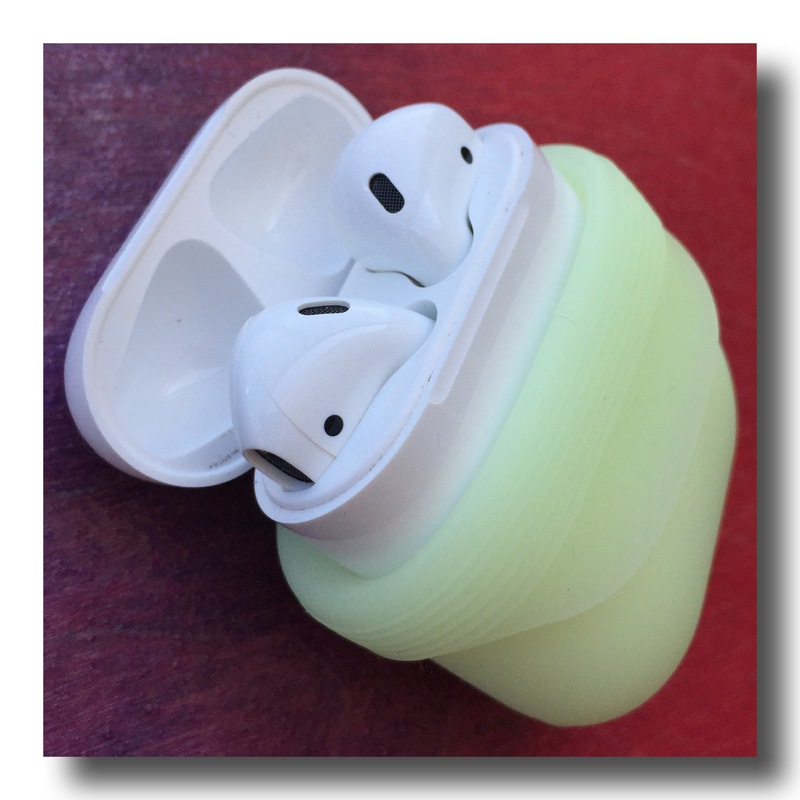 Beware, it only works if the AirPods are NOT in the case … if you lose the charging case, you’ll be up for a $69 replacing case. AirPods and Apple Watch are bff. The Apple Watch is very handy to skip, turn the volume up and down. Or you tell Siri “volume up”, “skip song”, “volume down”, “pause music”, “play music”. Who is calling? The phone calls are announced in my AirPods … handy. Go to settings/phone/announce calls and explore the options. A great buy for sure!! But still there’s a huge downside. 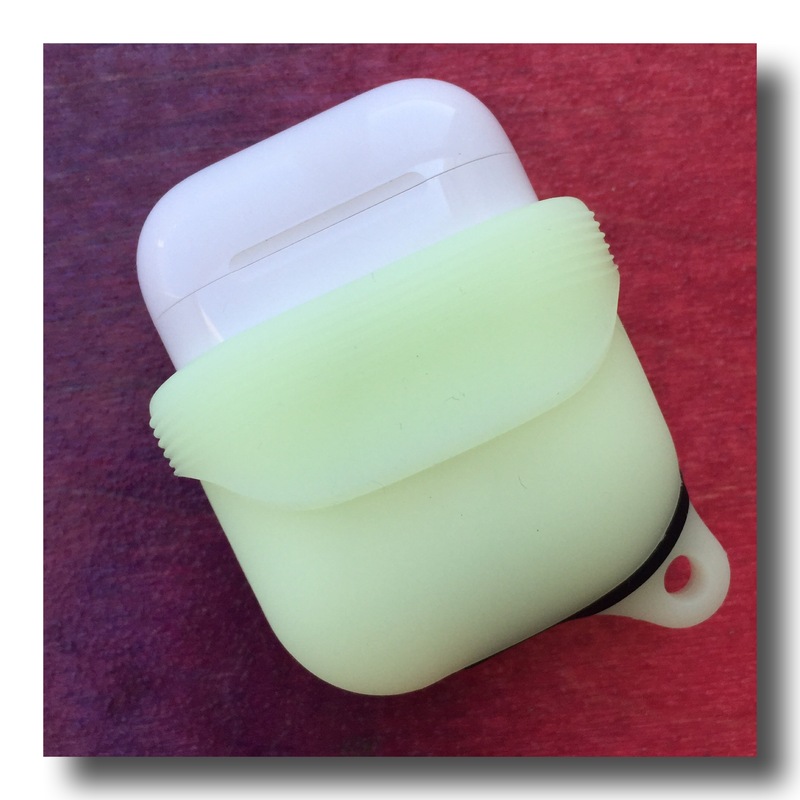 What do I do with this AirPods charging case? How not to lose it? 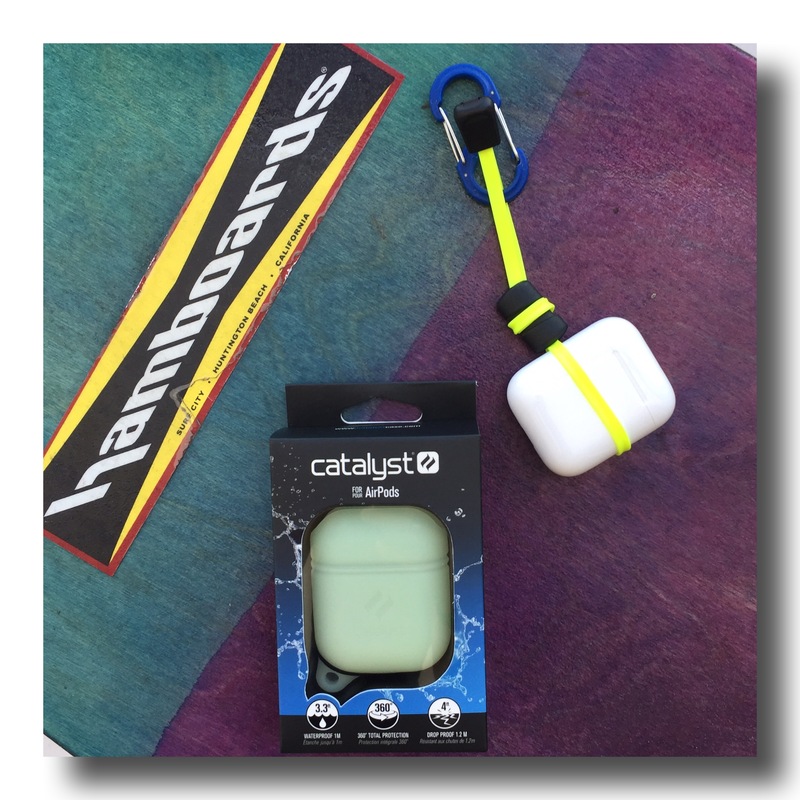 Then, I browse the web and found lots of silicone skins for the charging case … cute and protective for the case but it was just a skin … what about my losing issue, dust, water and fall protection … some more browsing and I found the Catalyst case! 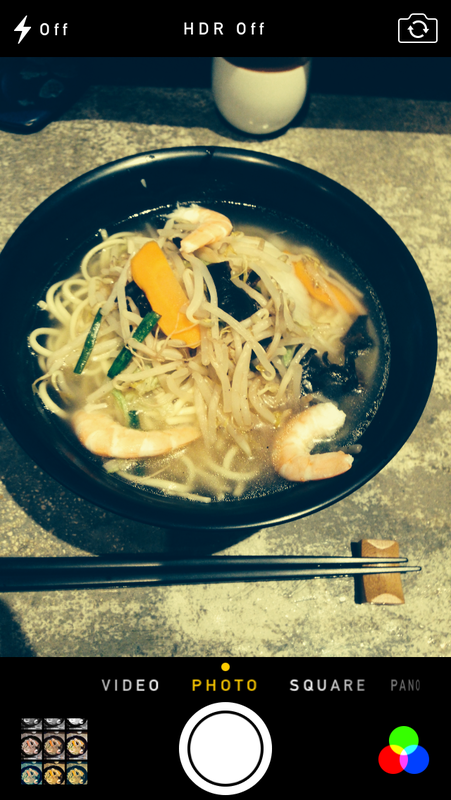 Click to order and pay. 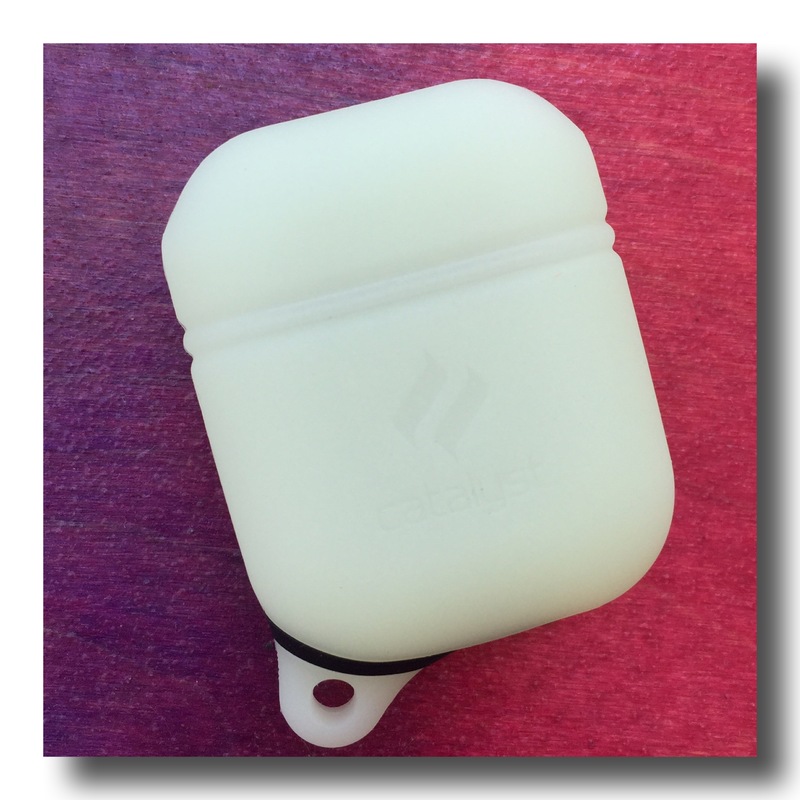 The Catalyst case is on the way … it was just delivered and carrying now my AirPods all over without the stress of losing the case. 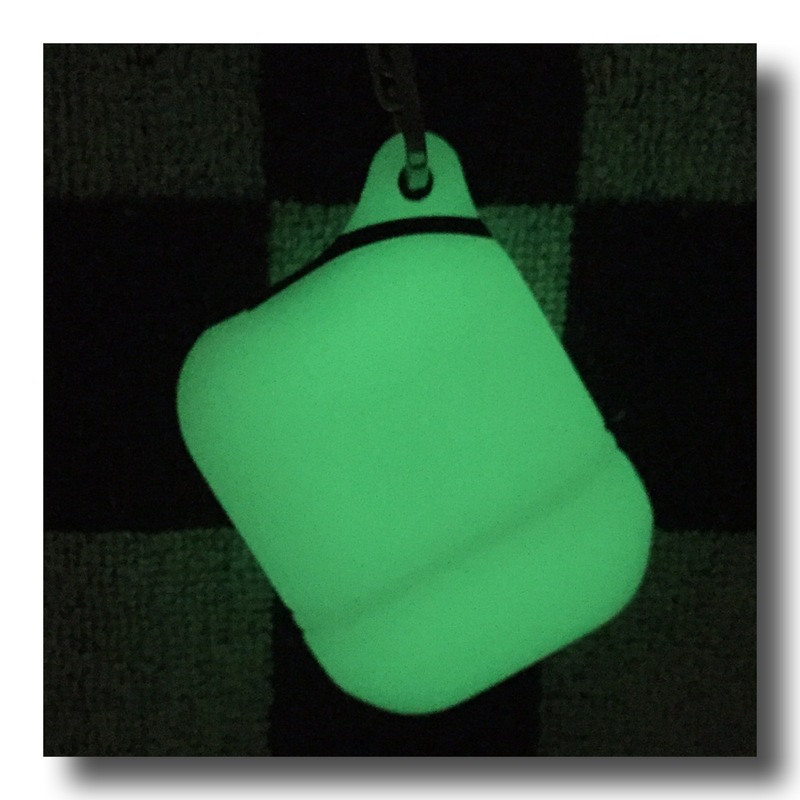 Cherry on the cake, the cover glows in the dark! Love it. Good to know, I still can reach the pairing button through the thin silicon wrap around the AirPods case. 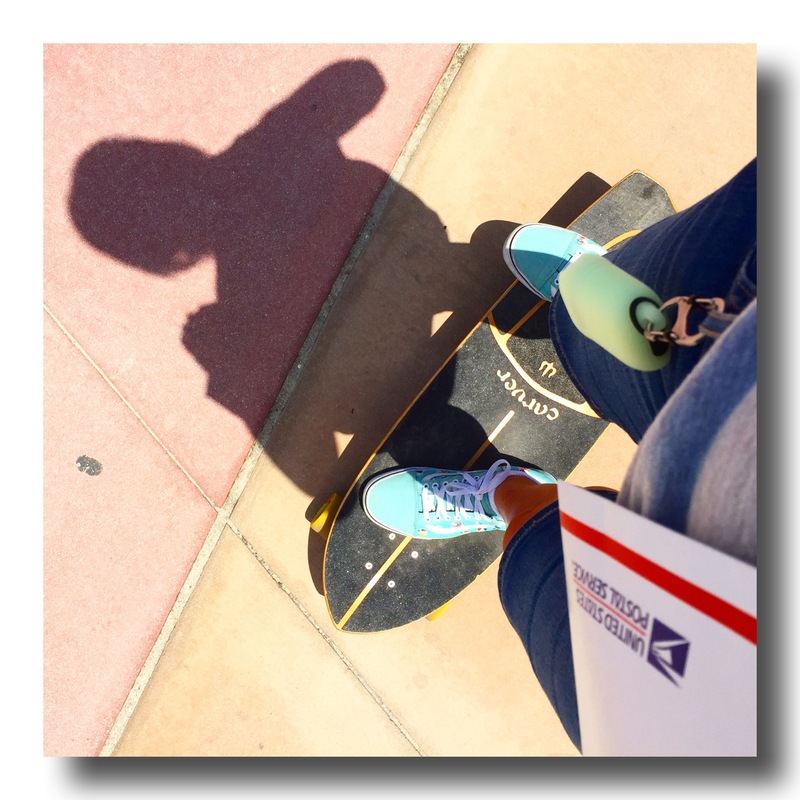 To get my buds when I’m not on the move I just pull both side down and leave it like that … it’s my standby mode. 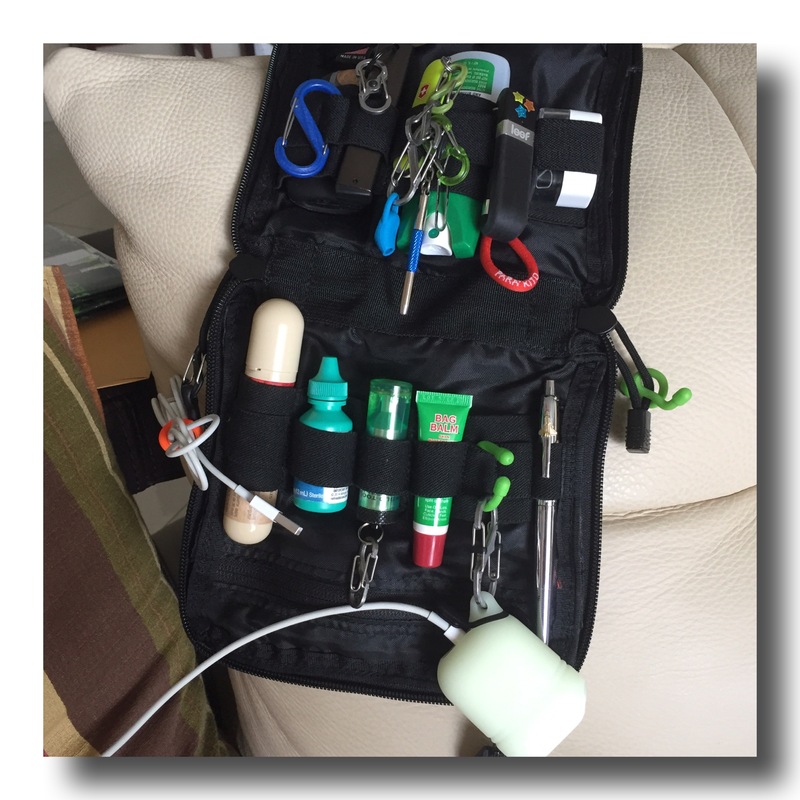 I didn’t like the provided carabiner and I switched for the Slidelock from Niteize (the gates are closed independently thanks to the plastic sliders). Now I’m almost sure I won’t lose it. 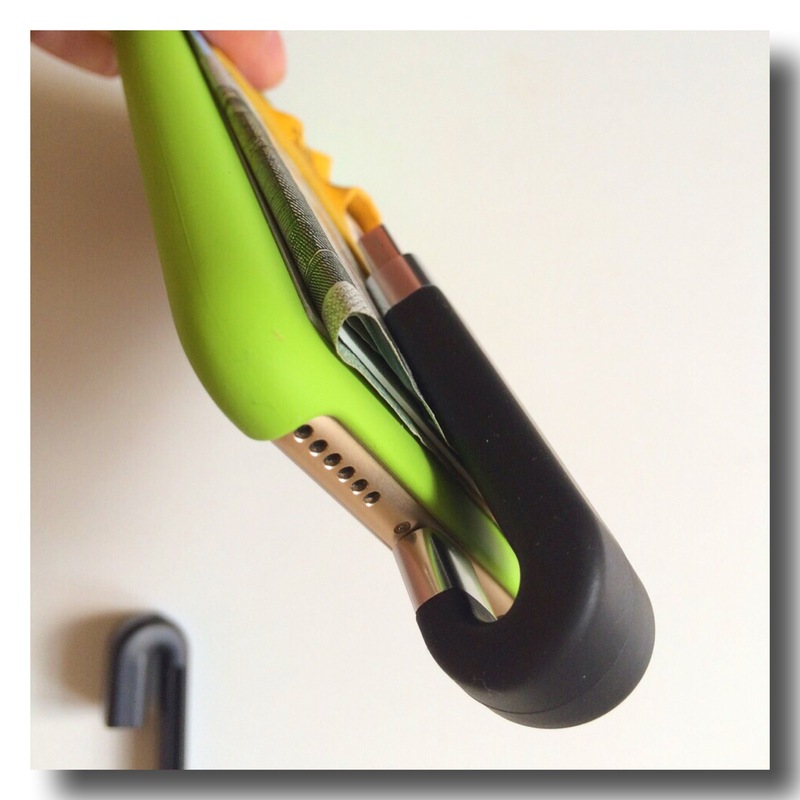 Not enough storage on your smartphone? What? In the middle of a tennis match? What do I do? I need those pictures! 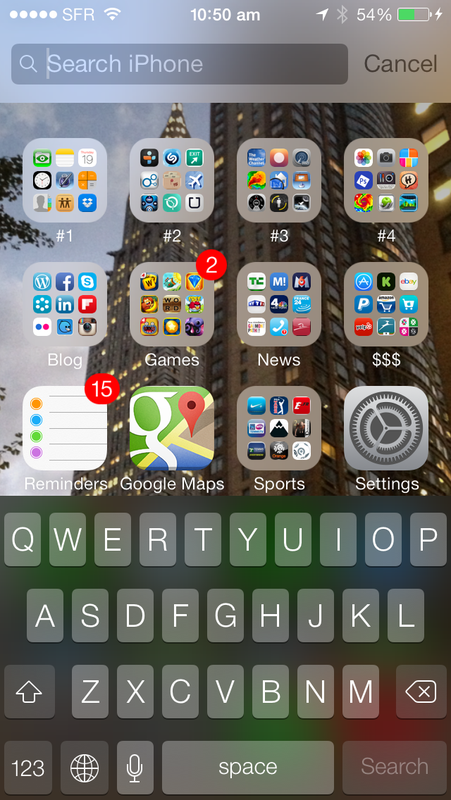 Then again I was out of storage … A nightmare … I’m sure, I’m not the only one this happened to. 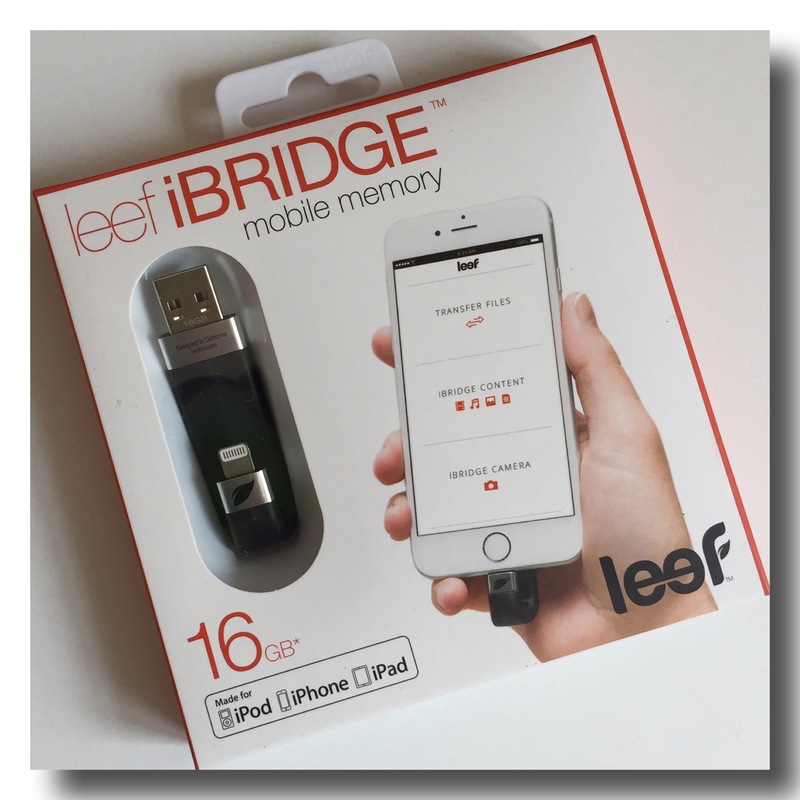 Now, there’s a solution and it comes from the company iBridge with their “mobile memory” called the “leef“. 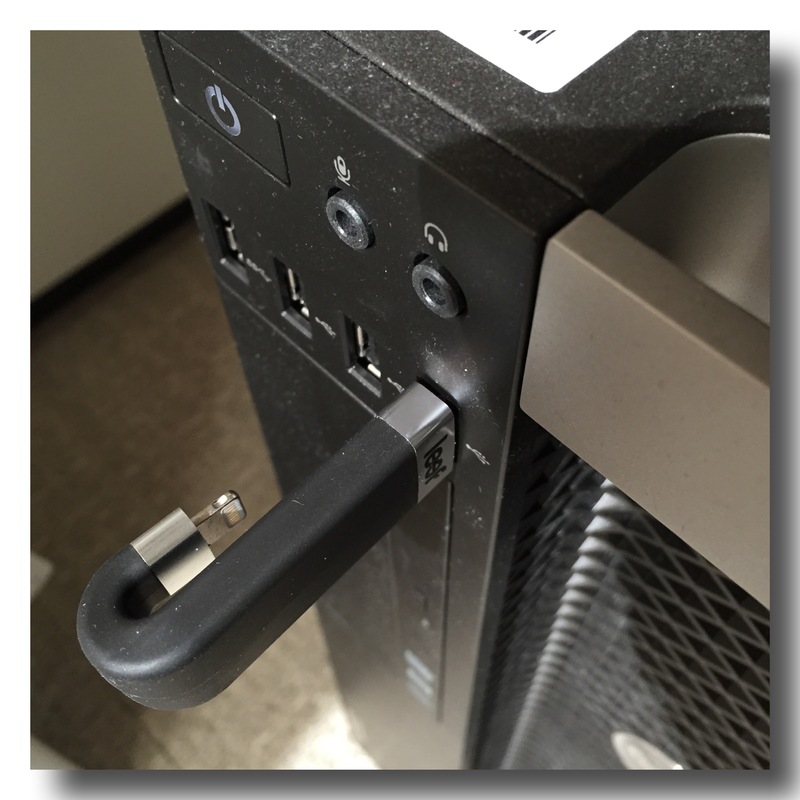 One side of the leef iBridge is the USB connector, the other extremity is the Lightning connector. How does it work? Easiest can’t be! 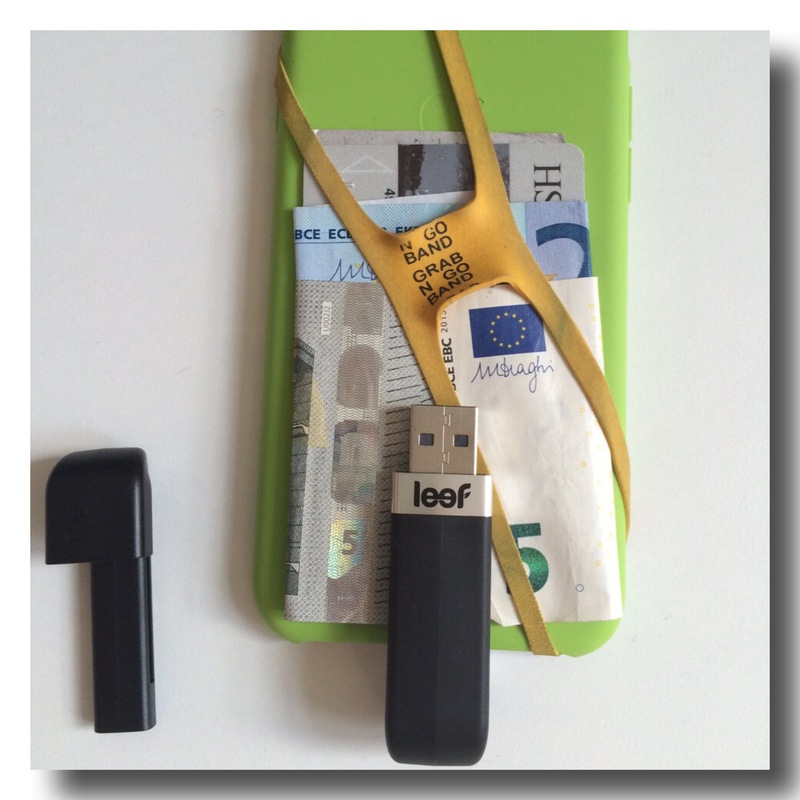 Plug the leef iBridge in your iPhone as if you wanted to charge it. 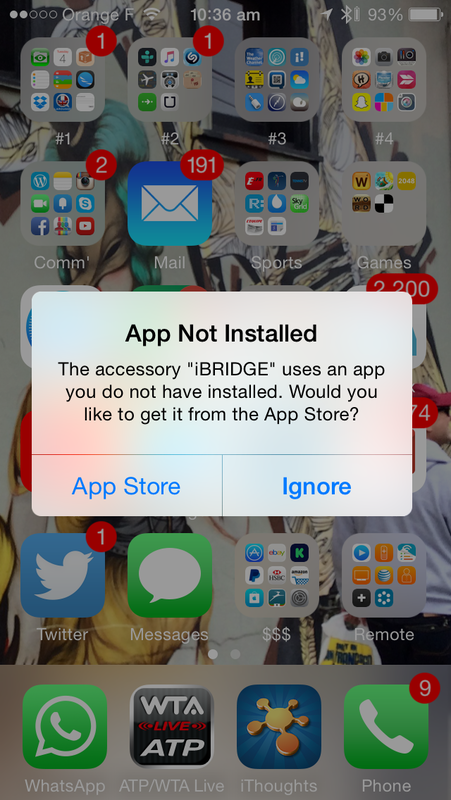 The iPhone detects your leef iBridge accessory and proposes you to get the free app that goes with it. 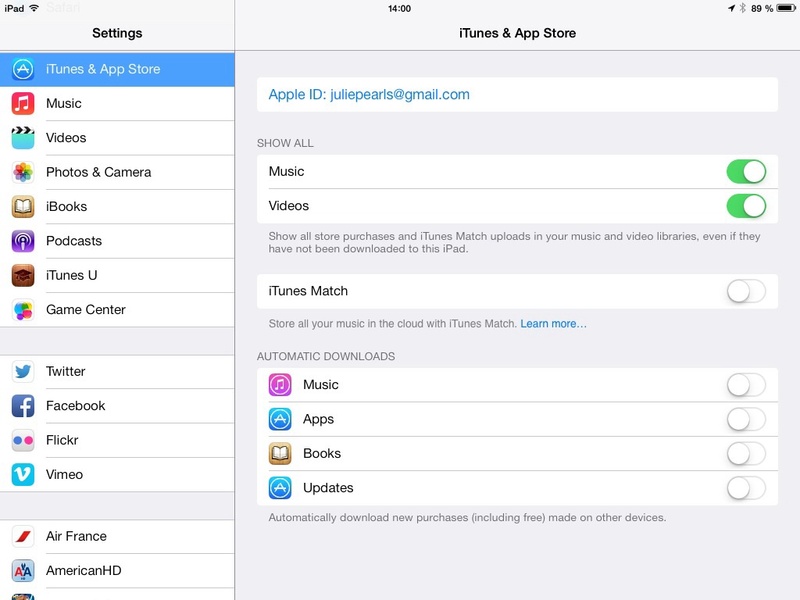 Let’s go to the AppStore to download the free app. 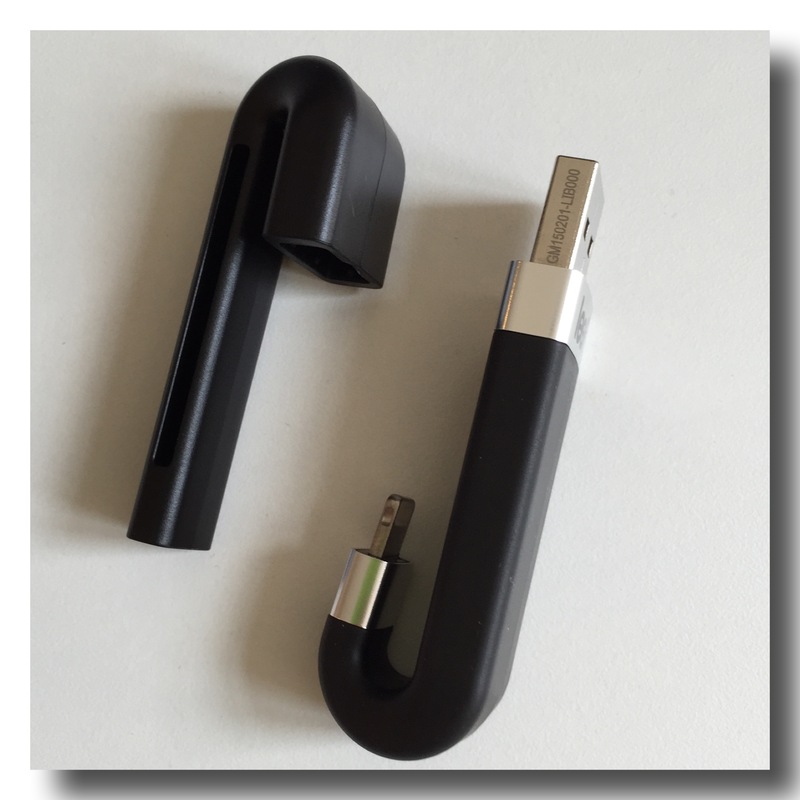 This leef iBridge is way cool and will solve many storage issues. 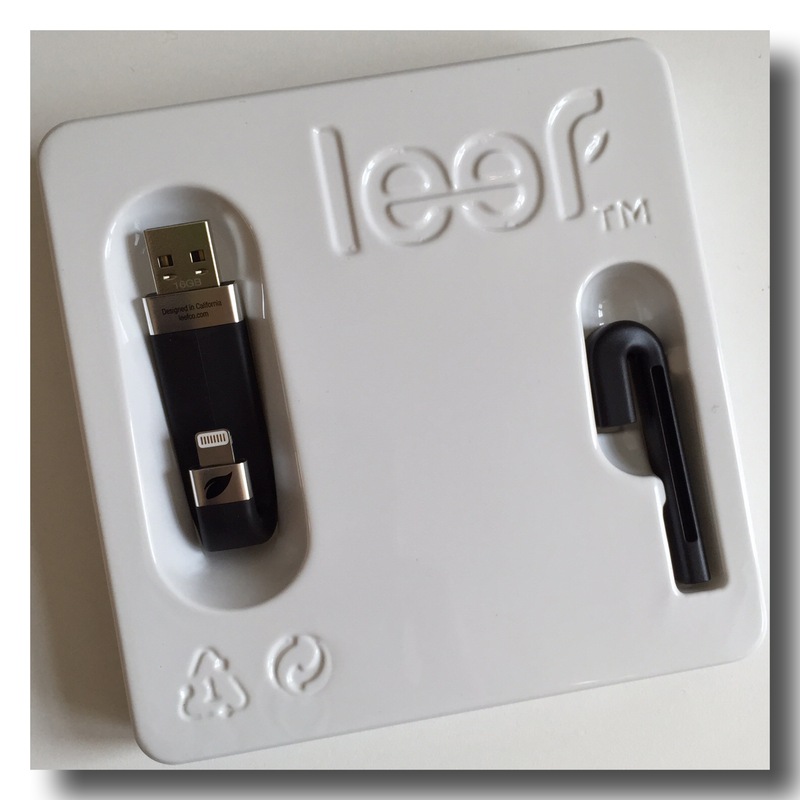 The leef exists in 16Gb ($59.99/59€90), 32Gb ($79.99/89€90), 64 Gb ($119.99/129€90), 128Gb ($199.99/229€90), 256GB (out of stock) and you know what? 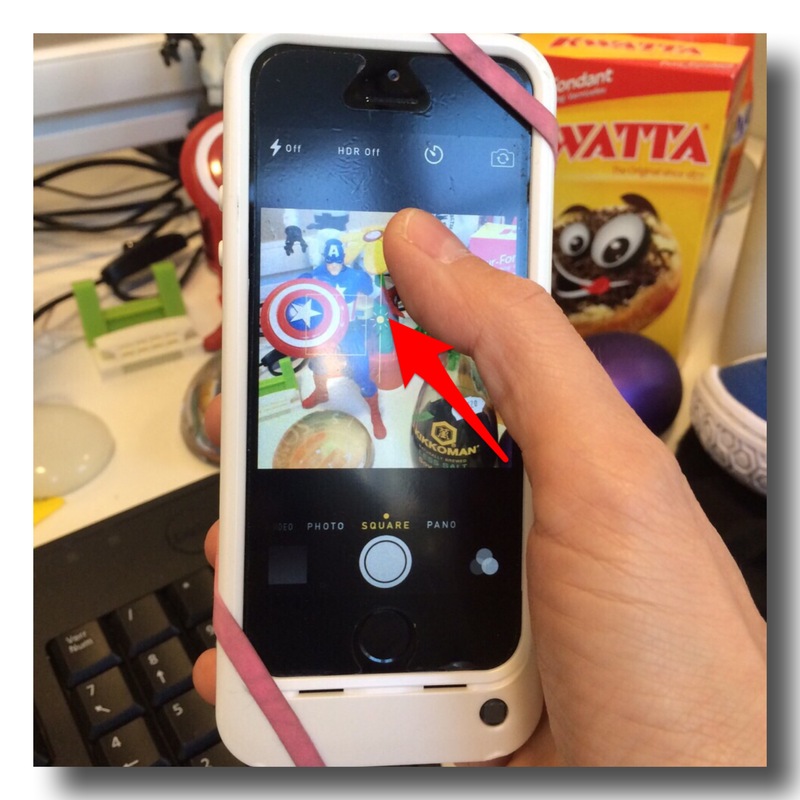 You can even take photos and capture videos straight on the leef iBridge! 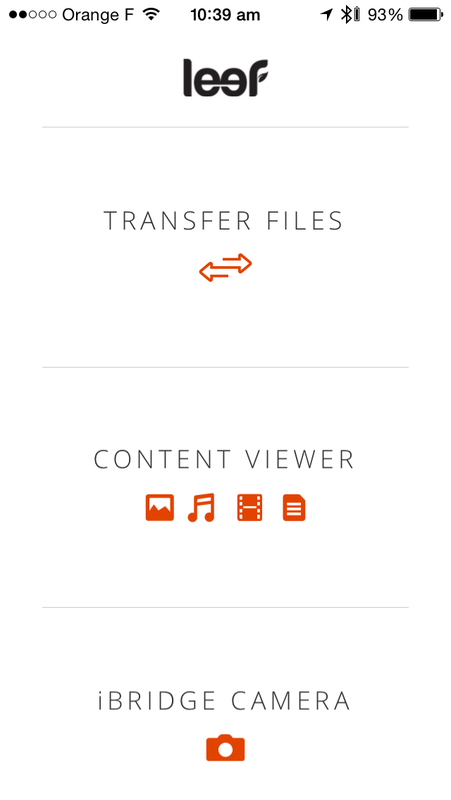 I use it for the office to store documents I need with me all the time (like powerpoint presentations, pdf, pictures, …) because I don’t want to download them … they are too heavy for my data subscription … I will also use it to record videos for my webTV show! My friend uses it to store his music, as a media center. So now, it’s your turn to find your usage! 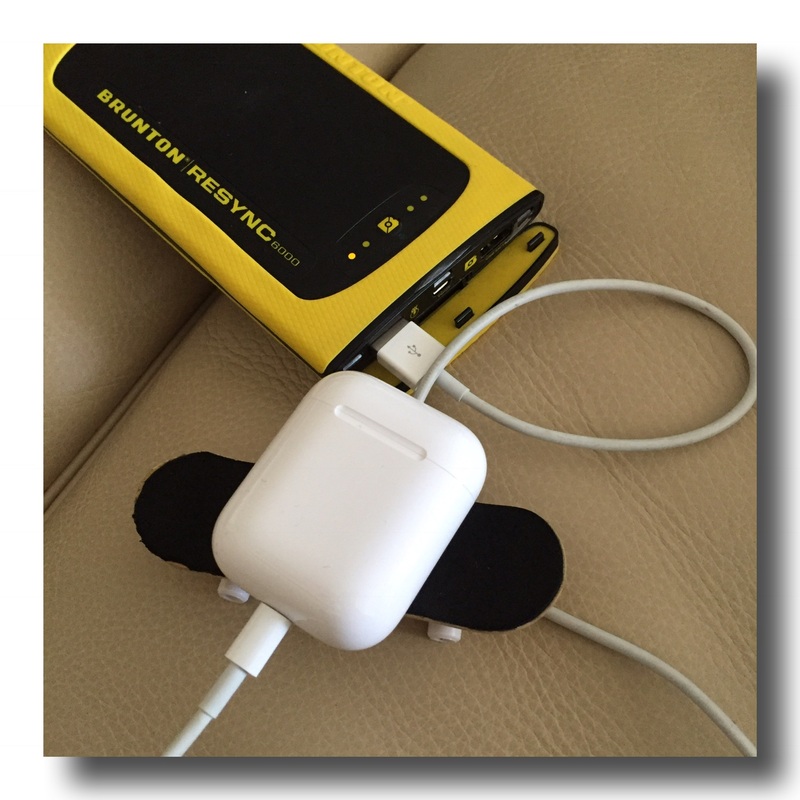 This cool and necessary accessory works with iPhones 5/5S/5C, 6/6plus, iPad starting 4th generation and iPod Touch 5th generation. 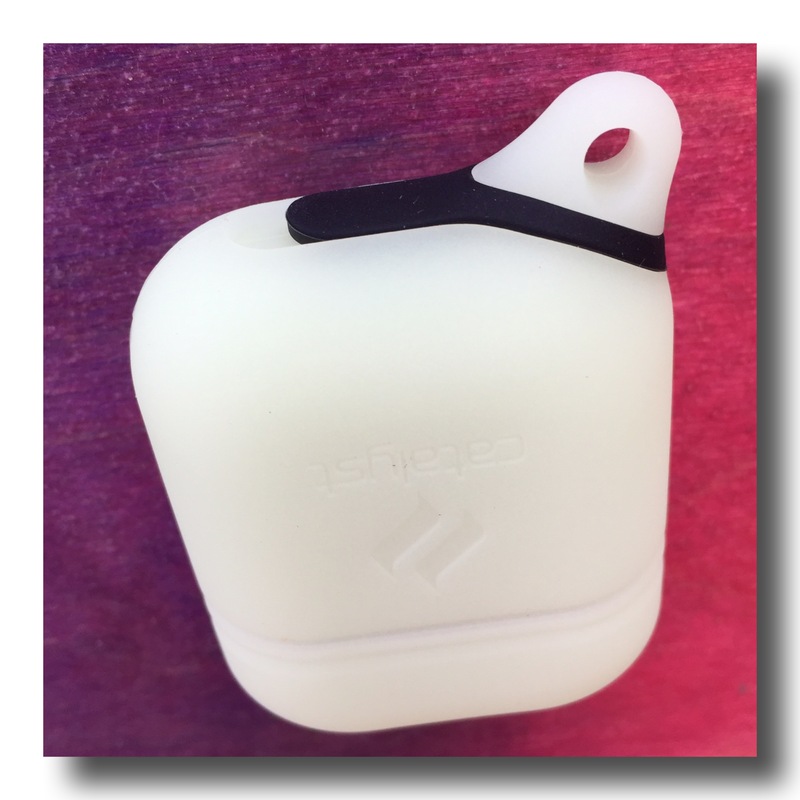 Cherry on the cake, you can even charge your iPhone while using the leef iBridge! 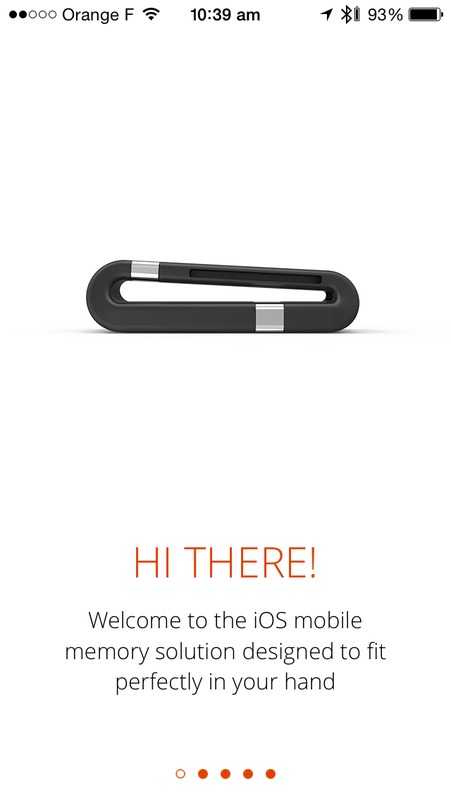 The guys at iBridge thought about everything! 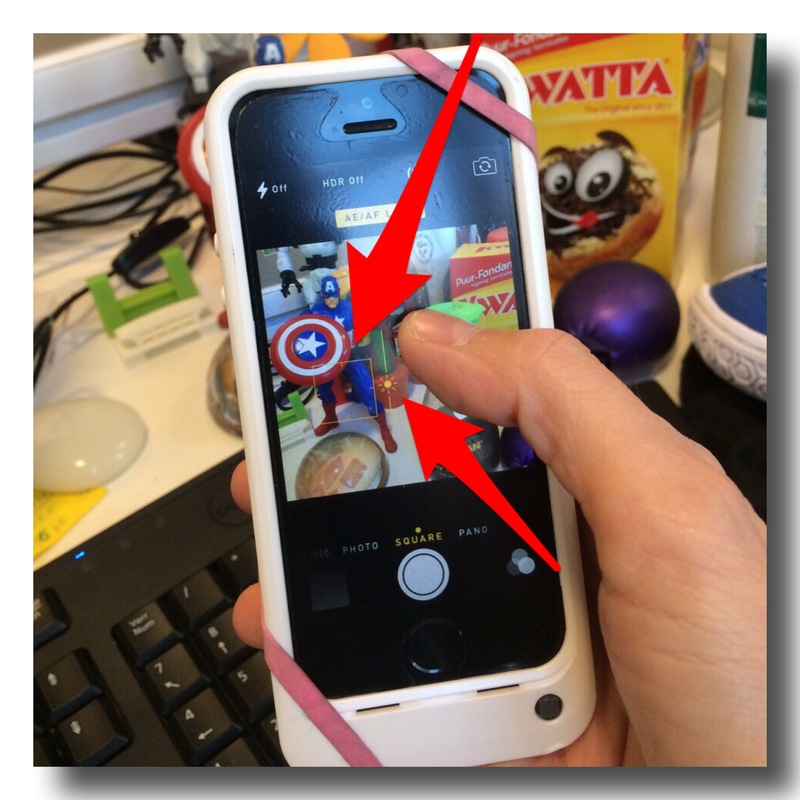 Did you know that you can adjust the light WHILE taking a picture on your iPhone ? Yes, you can and I didn’t know it. My good friend @mamadougsakho tipped me off yesterday and I want to share it with you because it’s really useful. Move your body, it’s January 1st!!! Today is January 1st 2014. The day you wake up with headache and drowsiness. It’s also the day, when you decide to lose the extra kg/pounds due to the past 2 weeks when your mom has been feeding you like there’s no food where you live. 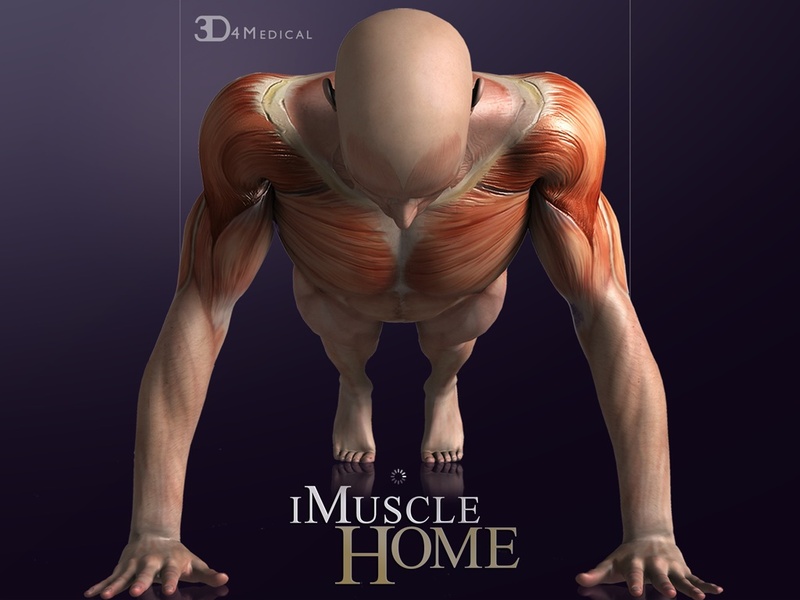 or maybe yes if you use the iMuscle Home edition. 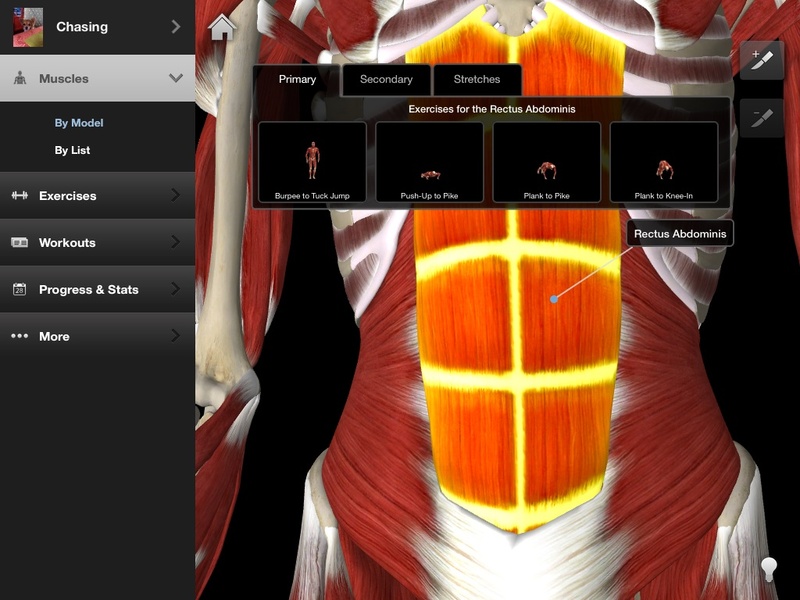 Remember some months ago, I told you about the iMuscle2 app that you could customize to your needs on your iPhone and iPad. 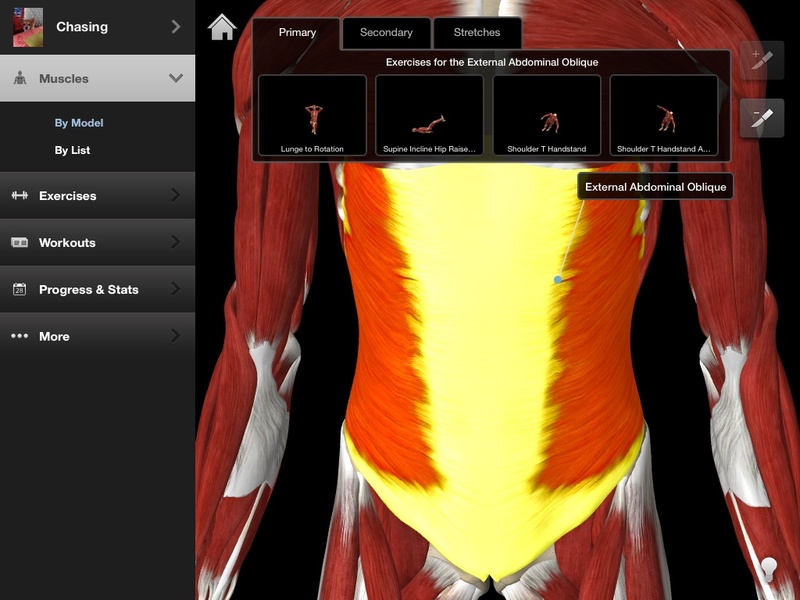 Now, 3D4Medical released it’s brand new version of iMuscle2 for us who want to exercise at home without gears and tools. 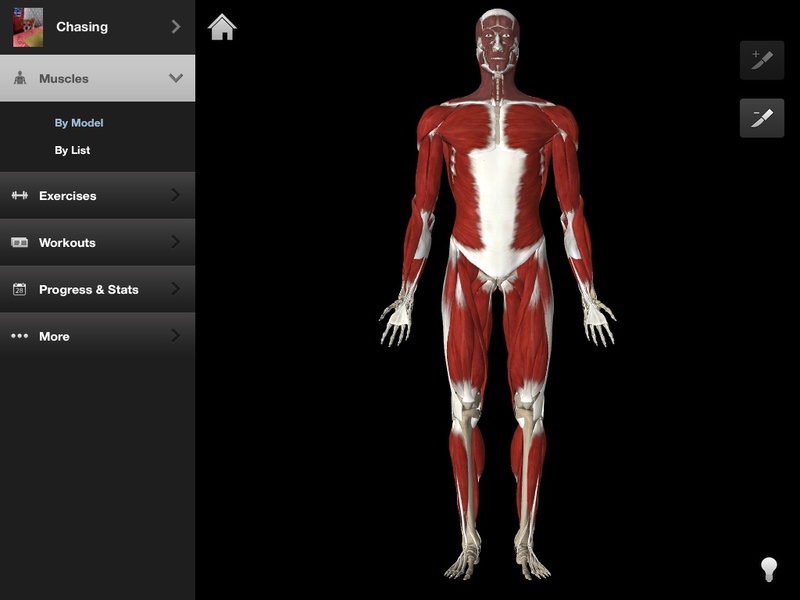 Just tap the muscles you want to target on the 3D human body and start building your very own work sessions or use the preset ones. Why is sport so important for us ? And also because after your session, you will feel good and proud of yourself! I wish you all the best for 2014!!! 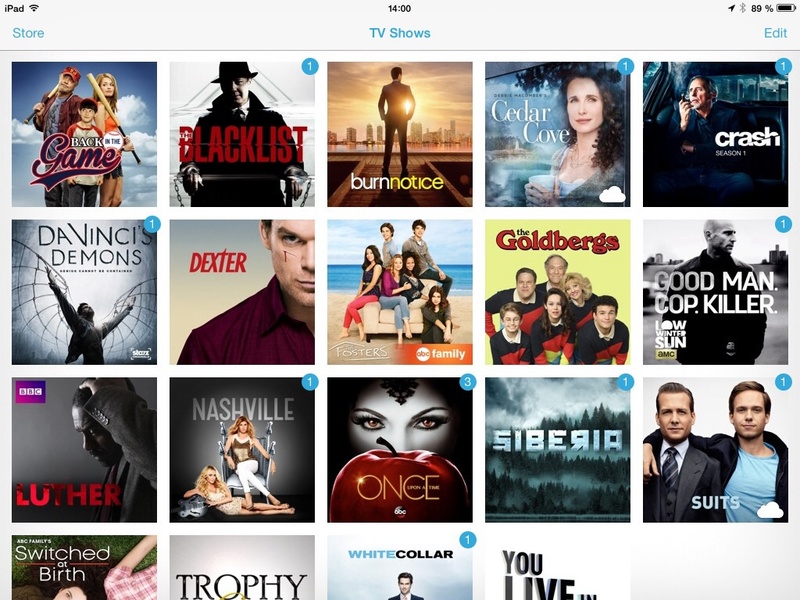 I simply wanted to see the new tv shows episodes ready to be watched. It was bugging me big time, but guess what? I just found the solution! Go to Settings then iTunes&App Store then toggle OFF the videos and only the TV shows on your device will appear on your screen. Check the difference on those 2 screens. You can do the same for the audio too. 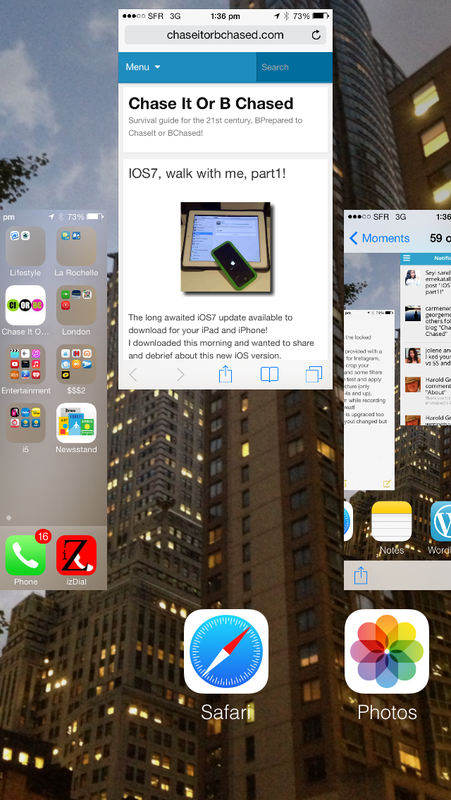 Let’s continue to explore the basics of iOS7. Looking for the search my iPhone ? I use this a lot when I need to call or text someone or when I don’t want to look for an app in my folders. 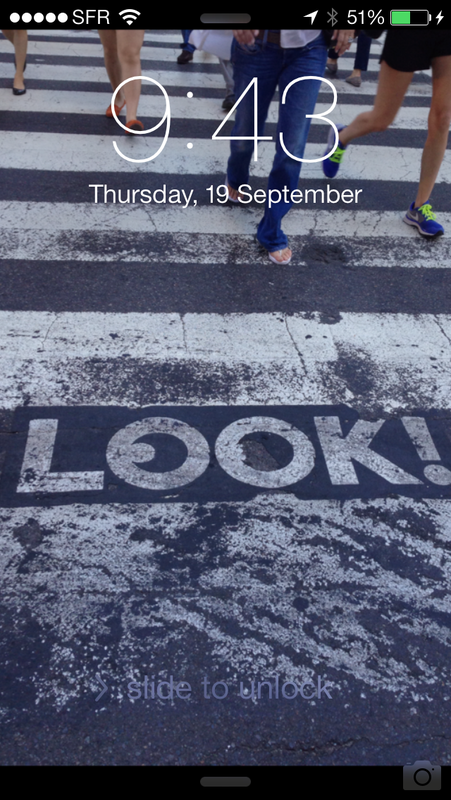 Swipe down from the middle of the screen to the bottom and the screen pops up your home screen. 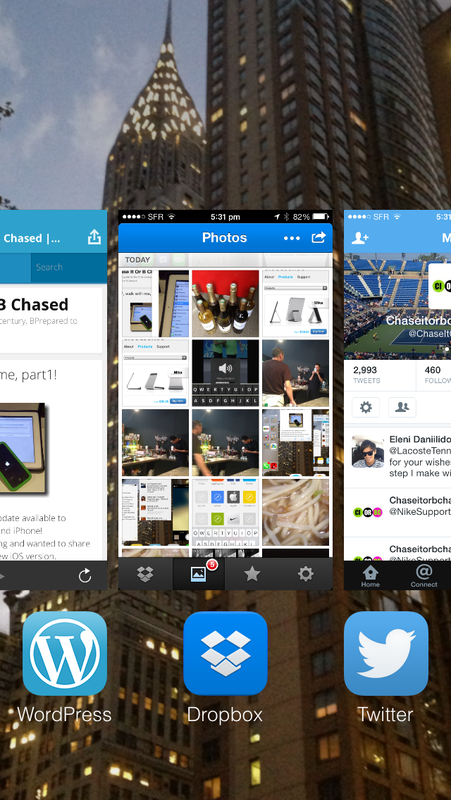 The multitasking is there too but slightly upgraded. 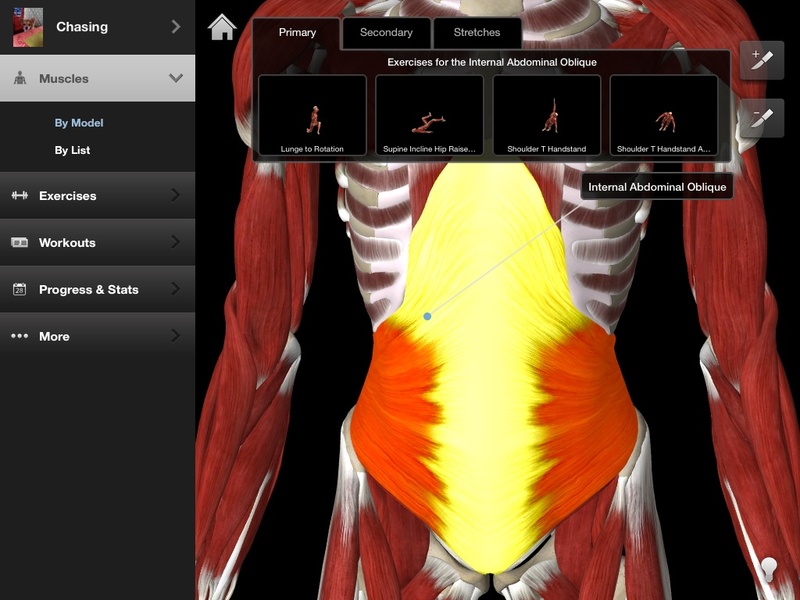 You’ll see the running apps as usual but also a preview of the page which is useful. 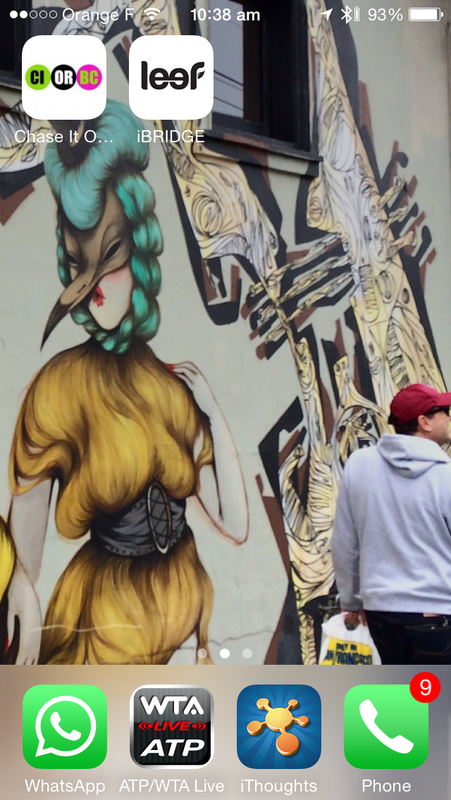 Stills available from the locked screen. 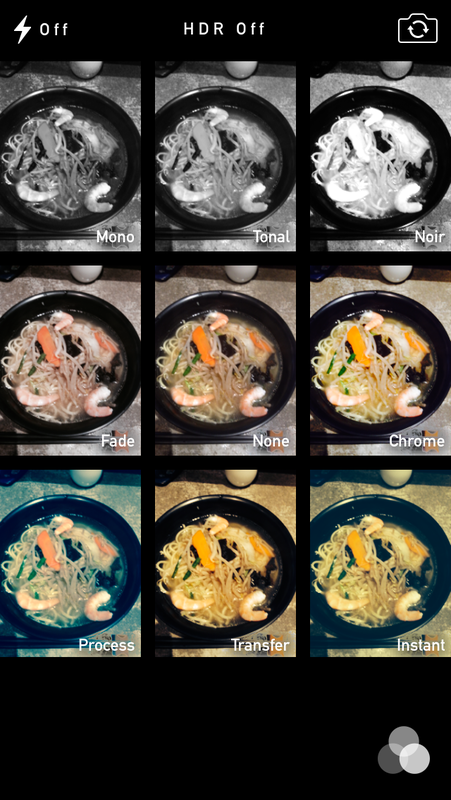 The camera now is provided with a square mode (great for Instagram, you will not have to crop your pictures any more) and some filters effects that you can test and apply before taking the picture (only available to iPhone 4s and up). 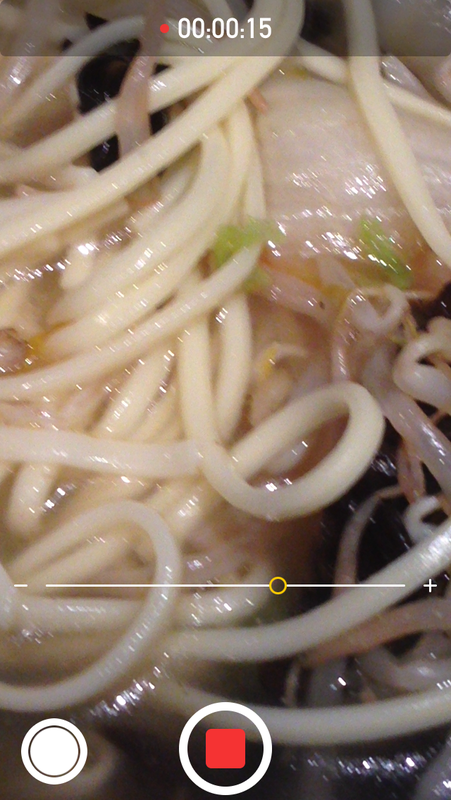 You can finally zoom while recording videos and this is great! Sharing experience is upgraded too with the airdrop. Layout changed but we’ll get used to it. 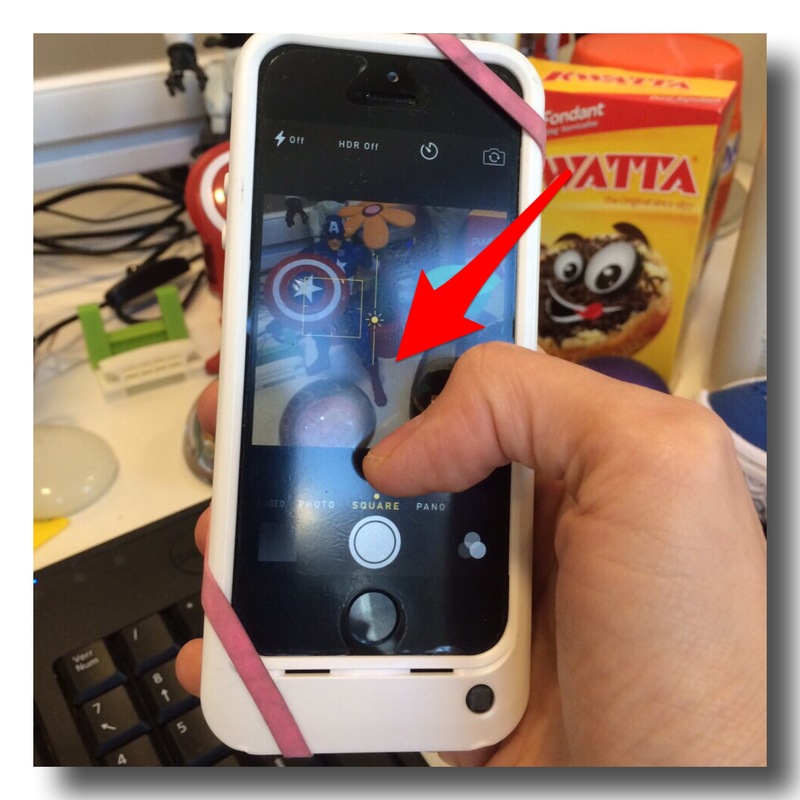 With a new iOS come new gestures. 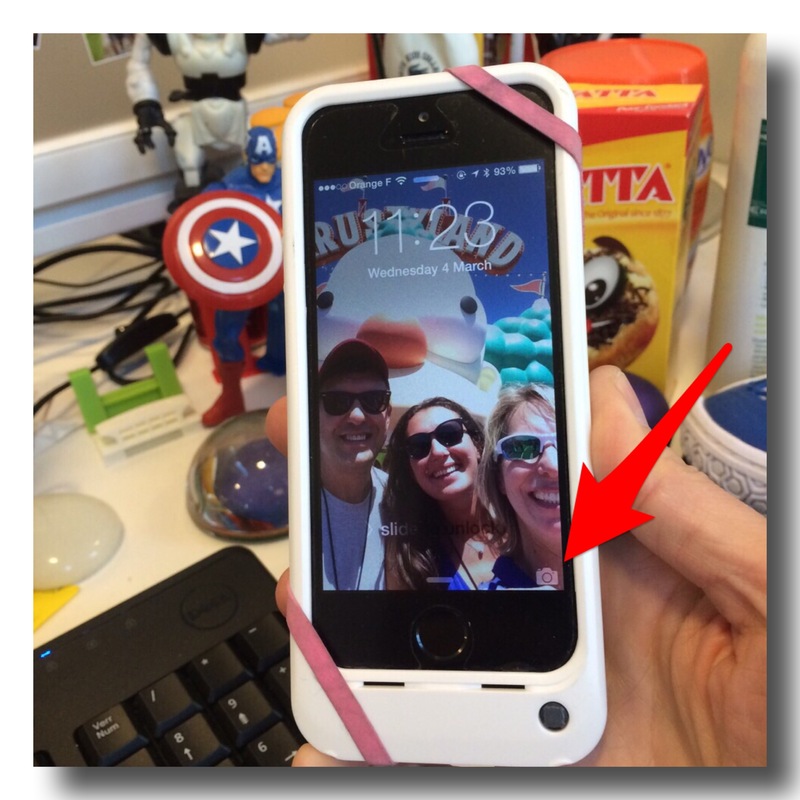 You want to kill and app that is working in the background? 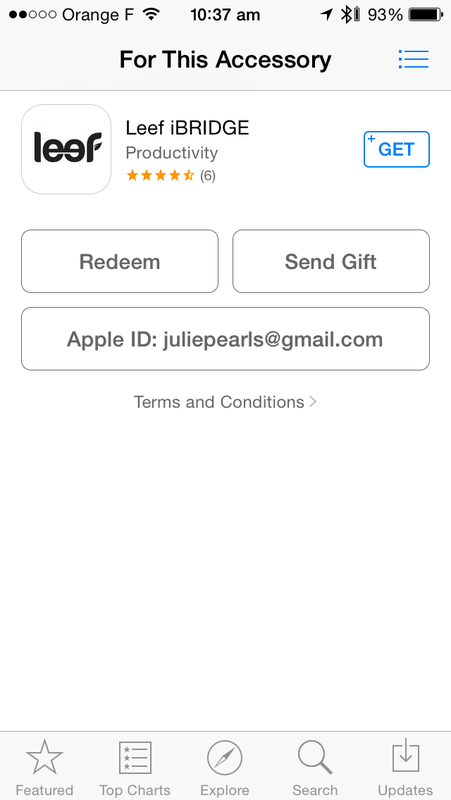 Double-click the home button as usual and hold the page of the app you want to close and slide it up. 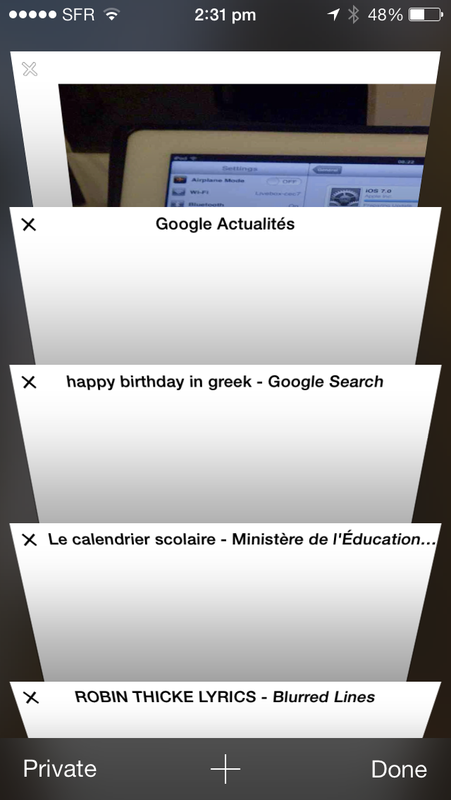 When in Safari, swipe horizontally to browse through the opened pages.